Great advice from Alamance Oil on preventing common heating problems. The last thing you want to encounter on a cold day is a chilly house. Whether you wake up cold or come home to a frigid house after work, it’s obvious there is a problem with your heating system. It’s unpleasant, inconvenient, and potentially expensive to repair. Want to keep your Burlington furnace repair needs down to just routine maintenance? Consider these 5 common heating system problems and tips to prevent them. Lack of Heat. When your heating system is running, but the air coming from your vents is not warm, there are a few probable causes. There could be an internal mechanical error with the heat exchanger, pilot, or other parts. 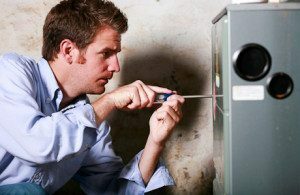 If you are experiencing a lack of heat, call your Burlington furnace repair service to diagnose and repair the problem. The best way to prevent this issue is to schedule yearly preventative maintenance in late summer or early fall. Constant On/Off Cycling. If your furnace seems to turn on, run for a short time, turn off, and then turn right back on again, this is definitely a sign of a system malfunction. Do not let this problem go unattended, because the constant cycling is hard on your heating system. You may have an electrical or mechanical error, or your flame sensor may need to be cleaned. The best way to prevent this problem? Routine furnace maintenance. Low Air Flow. Is there a lack of air or a low flow of air coming from your vents? This is most likely due a clogged filter, which is an easy fix. Simply replace your filters every 3 months to prevent excessive buildup of dust. If changing your filters doesn’t improve the air flow, there might be a problem with the blower itself. Call your HVAC service for repair. Pilot Light Issues. If your pilot light is supposed to stay lit and doesn’t, or if the electric pilot starter isn’t working properly, your furnace can’t make heat. In some cases the problem is with the gas or gas line itself, but it could also be internal furnace parts. Call your Burlington furnace repair service for pilot light issues. But if you smell gas in your home, call your gas provider and get out of the house. Preventative measures: you guessed it, routine furnace maintenance. Thermostat Malfunction. Sometimes thermostats don’t work properly or need to be recalibrated. If your thermostat isn’t properly sensing the temperature or calling for heat when it is needed, your furnace won’t be able to do its job. You may need your thermostat repaired or replaced. Digital thermostats are very reliable and programmable thermostats can help you save energy. If your old thermostat needs to be replaced, consider upgrading. If you’re only repairing your heating system when something goes wrong, you’re not getting the best performance out of your equipment. Yearly cleaning and maintenance will go a long way toward preventing malfunctions and saving you money on heating costs. Call Alamance Oil at (336) 226-9371 for Burlington Furnace Repair and Maintenance.